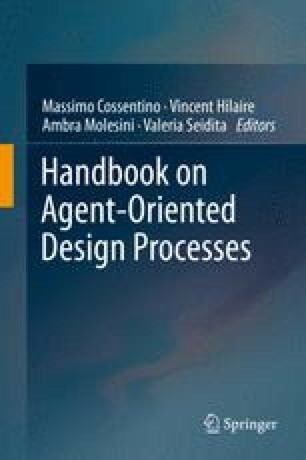 The agent-oriented software engineering methodology Tropos offers a structured development process for the development of socio-technical systems. Such systems explicitly recognise the interplay between social actors (humans and organisations) and technical systems (software). Tropos adopts the state-of-the-art i* requirements modelling language throughout the development cycle, giving special attention to the early phases of domain and requirements analysis. The system is modelled in terms of the goals of the involved actors and their social interdependencies, allowing for a seamless transition from the requirements to the design and potentially to an agent-oriented implementation. Tropos prescribes a limited set of domain-independent models, activities and artefacts, which can be complement with domain- and application-specific ones. The authors thank Angelo Susi (Fondazione Bruno Kessler) Anna Perini (Fondazione Bruno Kessler), and Paolo Giorgini (University of Trento) for their support.